Quilts by guild members at the April 2015 guild meeting. Not all quilts are shown as I had an issue with the camera. Well....operator issue. 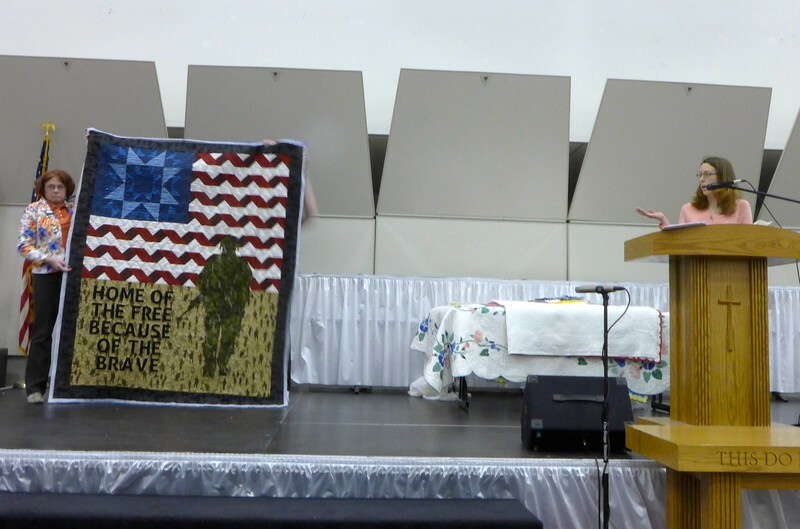 Jo Heather Grant Displaying a quilt of valor.